What pitfalls can we avoid when debating, especially online? KEVIN HARRIS: Hey, let's pick up where we left off last time on Reasonable Faith with Dr. William Lane Craig. We’ve been looking at a list of what Mike Manea says are some flawed foundations that show up whenever we get into debates with our atheist friends. He's listed a bunch of these. We'll pick it up at number 5. DR. CRAIG: He is talking there about a methodological naturalism. Not that science is committed to metaphysical naturalism – the unreality of God and the supernatural – but that rather when you work as a scientist you assume a methodology that you will only seek natural causes. I don't know whether science presupposes methodological naturalism. I think that is probably up to the individual scientist whether he does that. Certainly intelligent design theorists don't presuppose methodological naturalism, and yet I think they are doing science. So it is not clear to me that this is inherent to the scientific enterprise. But in any case, even if it is, that doesn't mean that you can't use scientific evidence to establish a premise in an argument – a premise which is religiously neutral – but goes to support a theistic conclusion. For example, a methodologically naturalistic science can support the proposition or premise that the universe began to exist or that the fine-tuning of the universe is not due to physical necessity. Those are purely natural conclusions, and so a science committed to methodological naturalism can support those premises. Yet those premises can be significant in an argument for a conclusion having theistic significance. DR. CRAIG: Right. You can't use science to support an epistemology of scientism which says that science is our only source of knowledge and truth. So I think he is quite right in challenging that assumption. DR. CRAIG: It seems to me that that is presupposing the scientism that we've already rejected. I would say that the task of philosophy and metaphysics is to examine all of reality whether natural or supernatural. Therefore one is not hamstrung by the limits of scientism thinking that science is our only source of knowledge and truth. KEVIN HARRIS: Number eight – boy we could go to town on this one! Another problem that often comes up in these debates is that atheists use faulty definitions of the supernatural. . . .
a. They equate the supernatural with magic, fairy tales and overall nonsense by definition. The supernatural cannot exist because nonsense cannot exit. When it comes to God it is often an anthropomorphic being of some kind with a long beard – your buddy in the sky, your sky buddy, your invisible friend, and things like that. Defining what supernatural means and defining God could go a long way in getting rid of that. DR. CRAIG: He suggests defining God for purposes of debate as “an intelligent being that is not confined to our material universe but has the capacity to create such an universe.” That seems to me to be an acceptable concept of a kind of generic God. KEVIN HARRIS: Supernatural – that has fallen on hard times. That just conjures up every haunted house TV show you've ever seen and things like that. Supernatural just doesn't have the philosophical ring to it that it should in popular culture. DR. CRAIG: Right, whereas here he means by supernatural “any phenomenon which has its basis in entities and processes that transcend the spatiotemporal realm of impersonal matter and energy described by modern science.” That is, again I think, an acceptable and neutral definition. KEVIN HARRIS: Let's go to number eleven, just to skip down. I've heard this often. Our atheist friends say, You are giving me the Gish Gallup. You list all these things that Duane Gish, the creationist, did in his debates when he was alive. He would throw out so many things that there is no way you are ever going to answer them. 50,000 things! [laughter] He says a good example of this is if somebody throws 15 alleged Bible contradictions, just pick the best 10 and we'll discuss those rather than try to spend hours on a trail. DR. CRAIG: Yes. I agree that in a debate situation you want to limit yourself to a limited number of arguments. I typically present five arguments in support of theism which involve multiple premises that can then be discussed. But you do want to have a limited number of things to argue about to keep the debate under control. Where I would disagree with him here, though, is what in the world is he arguing about Bible contradictions for? I thought this was supposed to be a debate with an atheist over whether or not God exists and then whether or not Christian theism is true. He is allowing the atheist debater to make him pursue red herrings rather than stick to the debate topic. That is a fundamental failure of debate strategy. KEVIN HARRIS: You have to smell those red herrings coming! DR. CRAIG: Yeah, a red herring, you'll remember, is a smelly fish that is dragged across the path of the bloodhounds to distract them into chasing after the fish rather than their real quarry. Similarly, to bring up Bible contradictions in a debate over the existence of God is just such a red herring. * They hold a belief system that flows logically from a set of flawed foundational premises. Given those premises, their worldview IS the most logical worldview and any argument against it will naturally appear erroneous. * If however the flawed premises are attacked directly, such persons are unlikely to actually evaluate those premises; they might consider such attacks a distraction from the real issues or they might feel themselves superior in spirituality or intellect and therefore not likely to be wrong on such foundational matters. * They are also heavily invested in their worldview and change would mean a considerable disruption to their way of life. For the life of me, it never occurred to me that what can be characterized in a cult mindset is actually what I see from Internet atheists – every one of those. This gets away from debating the atheist into kind of a one-on-one conversation. Right? 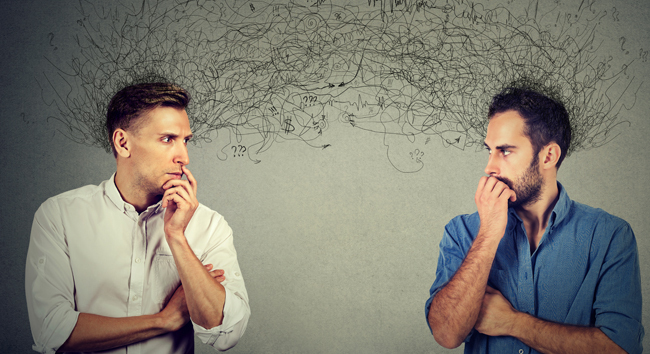 If you are having a dialogue with someone and they are just hardened in their presumptions and in their worldview, stuck in their worldview this way, you – what? – got some work to do to dig that out? DR. CRAIG: Yeah, it may be that in the case of trying to win someone in a cult that what will be more effective is becoming a genuine friend of that person, showing that person real love and concern, and not rejecting them simply because they won't accept your Christian worldview. It may be that personal touch that will help to extract them from that cult with which they identify and form their sense of self-identity and worth. KEVIN HARRIS: I'm glad that Mike has the concern and has taken the time to interact with people online and represent his faith. DR. CRAIG: That is right. We desperately need folks who are willing to be salt and light in the world of the Internet and contending for the Christian faith. http://mikemanea.com/unapologetics/manual-for-debating-atheists/ (accessed May 2, 2017). http://infidels.org/library/modern/barbara_forrest/naturalism.html (accessed May 2, 2017).